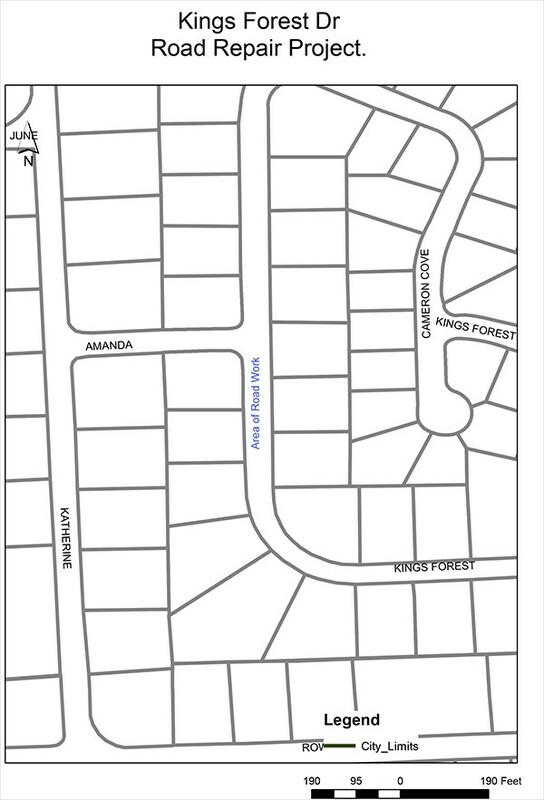 Notice: Kings Forest Road Construction | Beginning on Tuesday, September 11, 2018 and continuing until Tuesday, September 18, 2018, repair work will be conducted on Kings Forest Drive (see map). Please expect traffic congestion with lane or road closures during this period. You should exercise caution when traveling through this area during this period.